Two others were injured in the crash south of Hillsboro city limits near Jackson Bottom Wetlands. 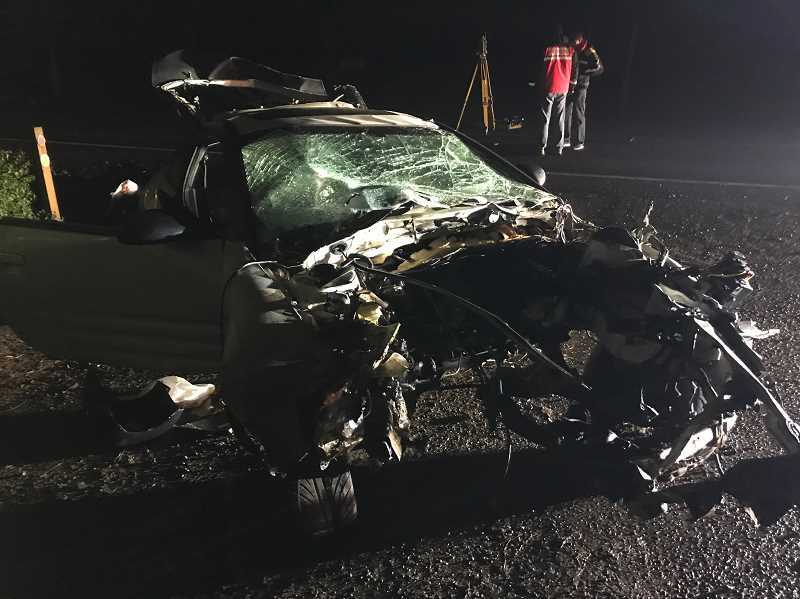 Washington County Sheriff's deputies are investigating after a single-vehicle crash south of Hillsboro resuled in a man's death early Tuesday morning. According to Deputy Jeff Talbot, a white 2003 Mitsubishi Eclipse was traveling northbound on Southwest Hillsboro Highway when it left the roadway and struck a tree near Morilon Lane at about 12:30 a.m., Tuesday, Jan. 22. A 21-year-old passenger, identified as Jacob Haliburton of Hillsboro, was thrown from the car and died at the scene, Talbot said. The driver of the vehicle, a 19-year-old Hillsboro man, received non-life-threatening injuries and was brought to a nearby hospital for treatment. A second passenger, an 18-year-old man from Beaverton, received minor injuries. Talbot said excessive speed is believed to be a factor in the crash. The Washington County Crash Analyst Reconstruction Team is investigating.